Women of Silicon Roundabout is a two-day event held at London’s ExCel, designed to bring together women in the tech industry. 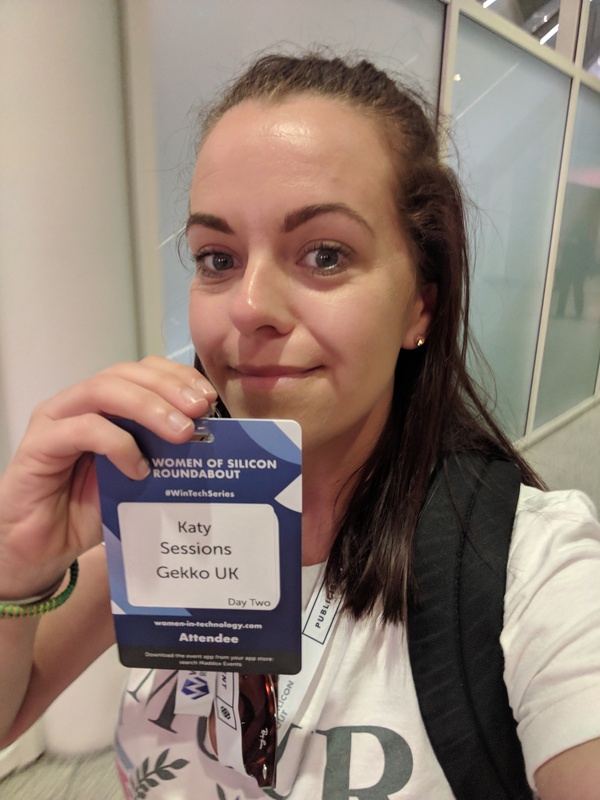 Beginning with one small event two years ago and is now the centrepiece of a global series, the Women In Tech Series (WinTechSeries) runs across the USA, Australia, mainland Europe and the UK (and is growing). Exhibition stands packed out the hall; from high street retailers and online services, to banks and investment firms. Workshops, seminars, skills labs and inspirational speakers took to the stage across several breakout rooms, a huge auditorium and speakers’ corners. Whilst the event is designed to inspire, educate, network and build technical skills; the exhibition area was a hive of business showcases with most companies also targeting talent for potential recruitment. PwC launched The #techshecan Charter back in February. The Charter is designed to bring together organisations to tackle the root cause of why women are in the minority in the tech industry. PwC have identified that STEM education in schools is not appealing to young girls, therefore they drop the subjects in favour of something they feel they are more suited to. Gender norms and societal pressures at such a young age is fuelling under-representation in the tech careers – not only gender based, but other minority groups such as BAME and LGBTQ. This was a really interesting seminar, and I applaud their efforts to increase the diversity mix at PwC by going right back to the root cause and potentially waiting 15-20 years before we see any of the talent come through the education system and into employment age. #techshecan collaborates with organisations to make the shift in education at a government level – working to reduce the amount of stereotypical representation children see and learn about during their early years education. In short, the Charter aims to change education from a young age so that girls feel that it is a career they can not only get into, but excel at. This was my favourite seminar. Helen has a very candid way of speaking about her accidental career into data and technology. She surprised herself given that she has “an innate fear of maths”- as she put it. Helen also has a family, and is incredibly passionate about self-promotion and supporting parents returning to work following a new addition. On the topic of self-promotion, or “building organisational advocacy – both in private and in public”, Helen uncovers the mystery some employees experience when they see their colleagues being promoted ahead of them. She used the Johari Window method (ref here)- one which is decades old – to deliver useful tools to the audience for when they return back into the workplace. Organisational advocacy is so important, yet so many misunderstand it’s power and how to correctly influence i.e. if you’re producing such great work, make sure people know! Build your personal brand, prove your worth and ensure that you check your “blind spot” regularly. An interesting fact about feedback given by managers when an employee seeks it out and how it differs between men and women: Broadly speaking, men are given feedback on how they can enhance their business decision making skills and women are given feedback on behaviours. Helen’s point was not to complain that this is wrong, but to encourage the women in the room to ensure they probe for better feedback in order to support their development and careers. The day was inspirational, thought provoking and educational. It was great to meet lots of people from other networks and find common ground, have debates and discussions. 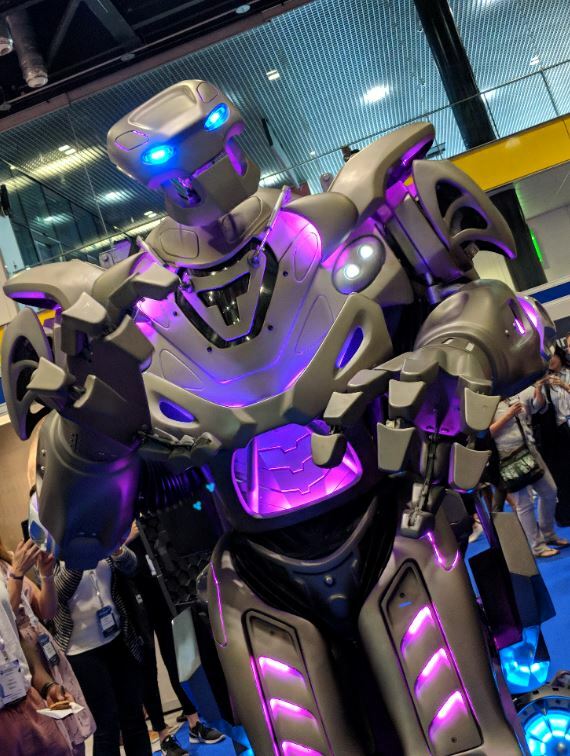 Oh, and there was a massive robot! We have work to do in the tech industry to grow diversity. We need to be representative of the communities we are serving. That was a phrase repeated several times by many different speakers. They’ve got a point right? If the people writing the algorithms are over-represented by men, then we will likely be served up products, services and information that is skewed surely? Diversity in all of it’s senses means stronger workforces, more intense creativity and better business outcomes. Growing your own advocacy and personal brand is key for anyone – not just women and not under-represented groups. As individuals, we don’t work on this anywhere near enough as and employers would certainly benefit from building this methodology into their development plans. We all have a responsibility to the next generation that every single child feels that they can do anything they want to. The sad thing is a lot of children only get to see such a small percentage of what’s on offer out there, and then become disengaged because “that’s not for girls” or “you could never do that”. It’s time to smash through these ceilings and change the world.